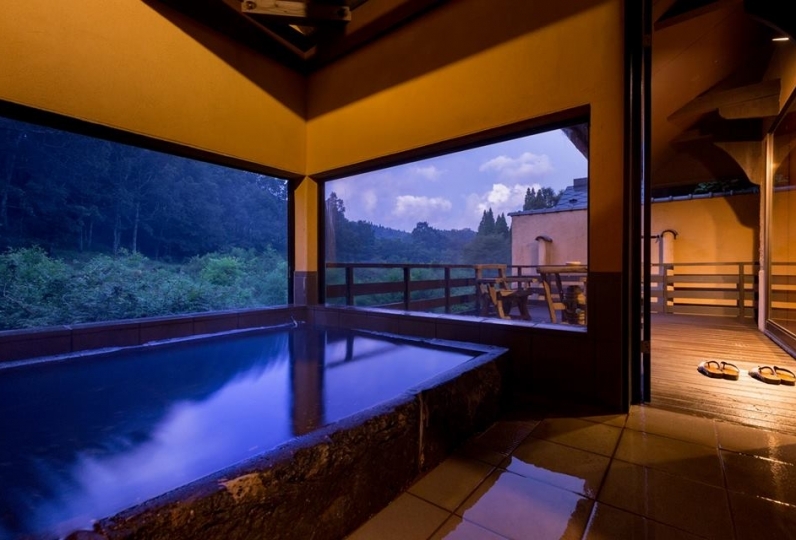 The theme of the hot spring is "Cohabitation with Nature" and we have been pursuing that concept up to this point. 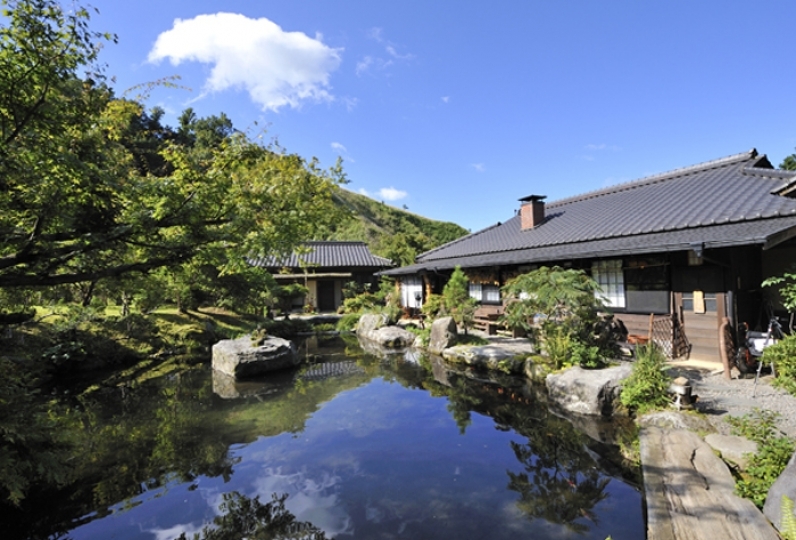 The nature surrounding guests is emphasized once they enter a hot spring. With the rustling of the leaves, the chirping of the birds, and sunlight through the branches, guests can relax as one with nature. The guest rooms that guests will stay have unique characteristics for each of the 11 rooms. Some have outdoor baths while others are built to resemble tree houses and lofts. Please find a space that fits you and find comfort in your very own room. The meals are kaiseki course menus that have been constantly improved by the chefs to reach the best. Instead of "locality" we focus on "seasonality," procuring the best ingredients form across the country. We will serve the meals focusing on seafood and changing their form and shapes. 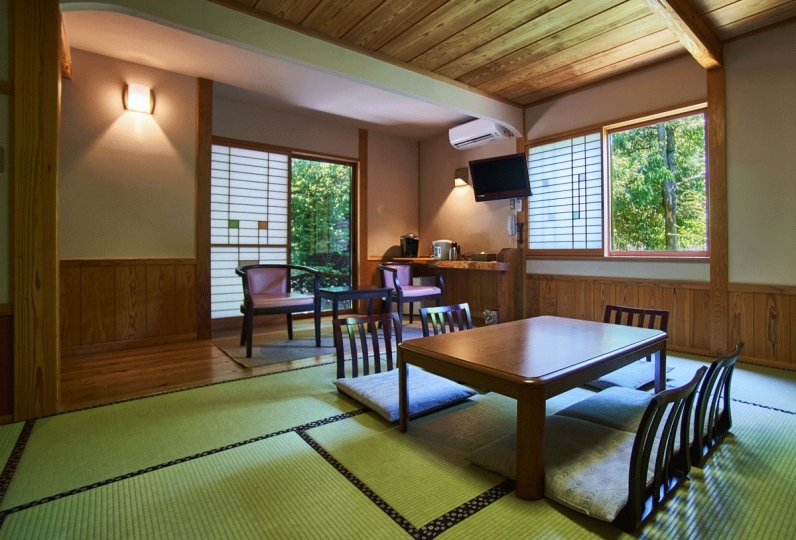 A ryokan that preserves  tradition and nature. Like looking out from the terrace, conversing around the fireplace, or take a deep bath, please enjoy a thoughtful stay among the vast nature here. Thank you very much for this delicious meal and relaxing time this time. 2 There was thing becoming a spirit. One was concerned about the fact that the content of reply asked about outdoor bath tour was slightly off and the smell of sanitary room was concerned. Thank you very much for the other day. This year will be a good year (* '艸 `) Thank you very much! 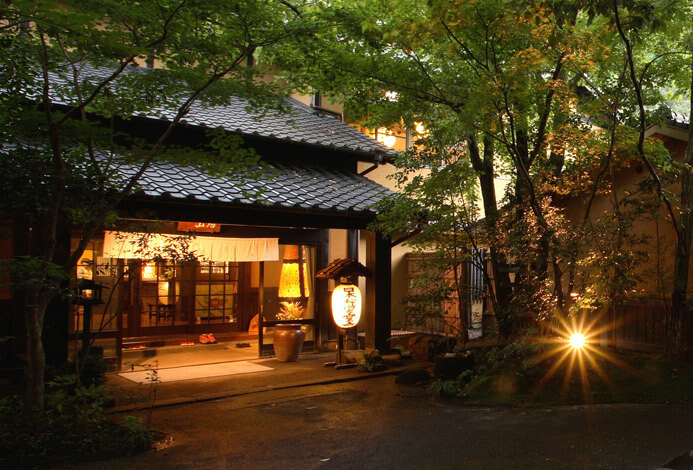 Kurokawa Onsen is surrounded by nature. The nature of this town is more felt by soaking in hot springs. In addition to the bath in the room, there are many baths that you can take in freely. 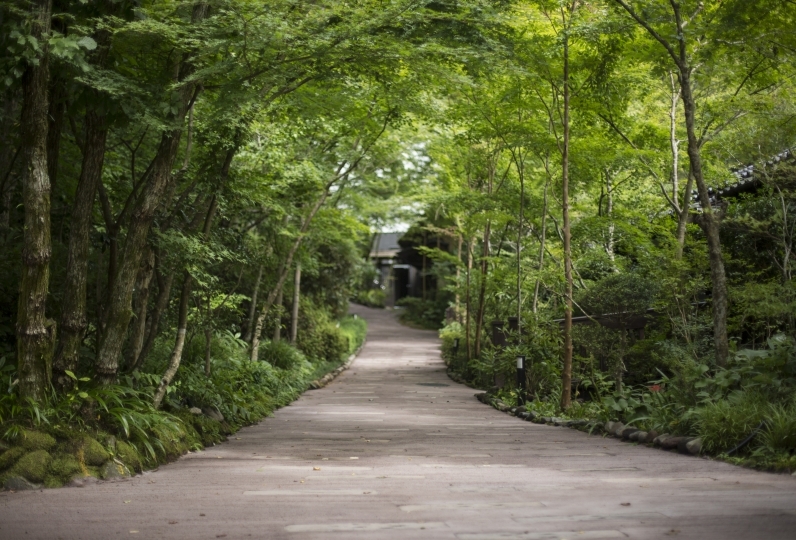 Guests can enjoy the changing face of the forest around them according to the seasons. -Meototachi: a standing bath with a depth of 110 cm. -Kakure no Yu: a bath as if hidden in the forest. -Indoor bath: A bath featuring warm wood accents. -Family bath (private): 4 baths free for guests. Jacuzzi is attached with a depth 110 cm. This plan fee does not include the 150 yen hot spring tax. We do not accommodate children. Thank you for your understanding. *Please inform us when you will arrive so we can send a complimentary car ride to the hotel.